G.J. Sladdin & Co Ltd have been established in Halifax West Yorkshire since 1963. The company was founded by Mr G J Sladdin who is still our full time Managing Director. Over the years we have become a true family business, with Mr Sladdin’s sons and Grandchildren working for the company. Sladdin’s have built up a reputation for good old fashioned honest and reliable service, and pride themselves on having a loyal and committed team of staff, most of whom have worked for the company for well over 10 years. 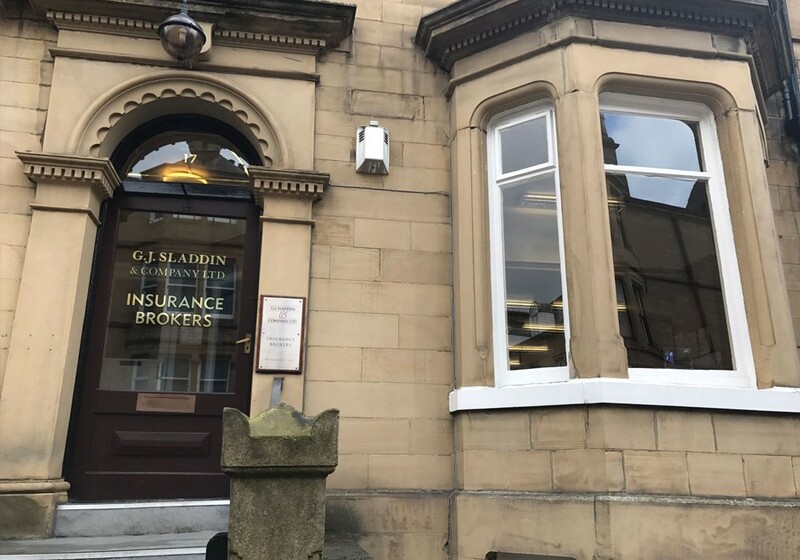 Over the years Sladdins have built up relationships with many of the UK leading insurers, and now have their own schemes underwritten through in house binder facilities with both Lloyd’s and Company markets. We specialise in areas such as Clubs, Licensed Premises, Business Insurance, and Coach and Fleets. We also operate a large Travel Insurance book of business, with the ability to quote for older travellers with medical conditions, with no upper age limit. We believe that with our wealth of experience, along with our highly trained staff, we are able to provide our clients with the best service and most competitive products on the market today. Single trip policies with no age restrictions. Annual multi trip policies up to age 85. A wide range of home insurance policies tailored to your specific requirements. Whether you are a small cafe or large restaurant we can find the perfect package policy for you. We can provide cover for a wide spectrum. From Small B&B's Insurance to large hotels. All manner of Commercial and Residential Property Owners risks with a wide range of tenants. We have become specialists in this special part of the insurance industry. Quotes for private and public hire taxis by using our specialist knowledge of the market. We offer quotations for most types of business and welcome your enquiry. Our experienced staff will be happy to provide you with a quotation for your Public House. We can offer quotations for one vehicle upwards without any problem. We offer competitive quotes for many types of vehicle insurance from individual to large fleets. Whatever your requirements we can give you a quote. Even if your policy is not due for renewal, you can still obtain a competitive quotation for comparison purposes.